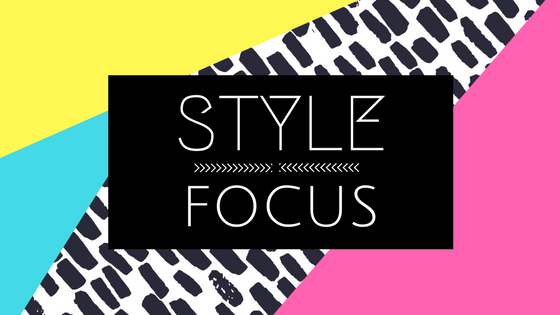 Today, we introduce a new series in which we identify one Instagram or blogging personality whose distinct style caught our eyes and centre a write up featuring a few products they use so you get an idea of how to achieve their look. We think this will be a great way to discover products and try something new. Who knows? This way you might start developing your signature look! Elsie first started out small, selling artwork and prints from her Etsy shop, since then she has branched out and dabbled in being a shop owner selling vintage wear, moved on to designing a small scale fashion line, to full-time blogging on A Beautiful Mess, setting up a new brand online called OuiFresh, book writing, dabbled in photography, released a phone app, releasing some e-courses for newbies to figure out blogging and business, and even finds time in between to do some redecorating! The range and scale of work that she does is nothing short of amazing. And she always does it all with style. 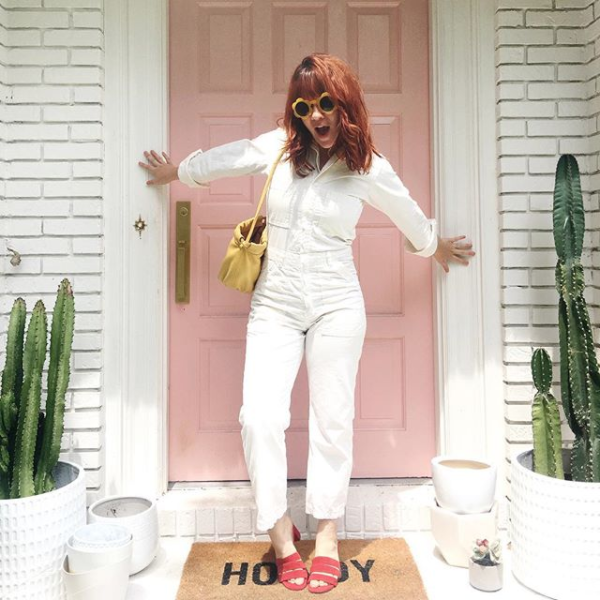 Elsie is a vintage lover, and one item she has found herself getting quite a sizable collection of is straw woven bags and purses. In fact, she has one blog entry talking about quite a number of styles of these kinds of bags she likes. What we like about the straw bag is that it completely fits in with the Singapore aesthetic, what with us being in the tropical climate. 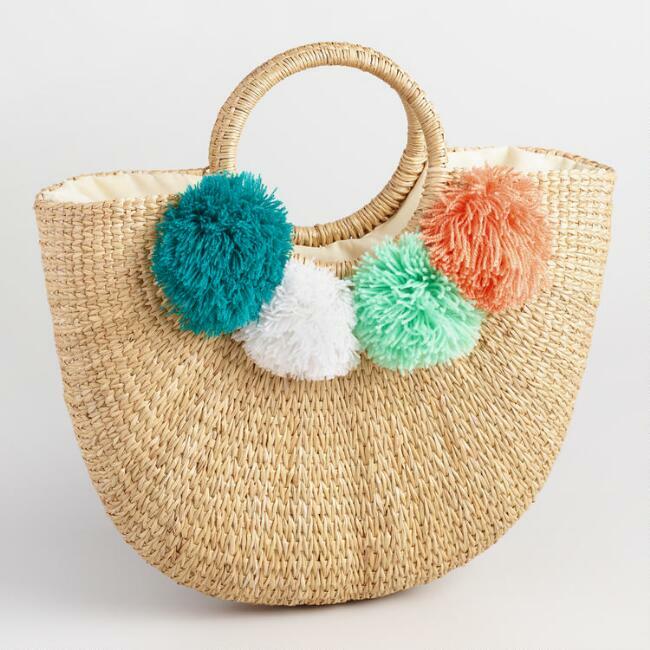 A straw bag like this pompom adorned one from World Market can be very versatile. We can see you bringing it along for brunch, or a shopping trip in Haji Lane, or even on a chilled out weekend at Sentosa! If there’s one thing that can never be left out of Elsie’s signature look, it would be her everyday curls. Many years practice has made it look as if she was born with those very pretty auburn curls. And we have to say she does look cute, especially with those bangs. She once gave a tutorial on how to achieve this look and we have to say it is mighty useful. If you’re going to attempt this version of pin curls, we suggest using the Babyliss Pro Nano Titaniam straightener because it’s received excellent reviews. 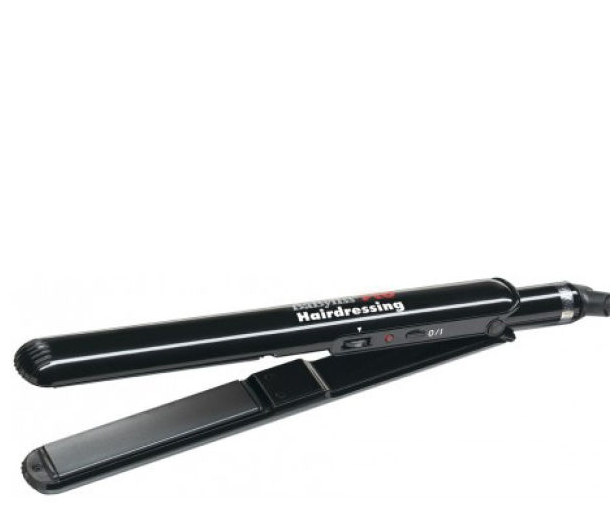 It looks slim enough so you can curl without your hair getting too poofy. Get it from UK site Beauty Express, they give free shipping to our UK warehouse! It’s always summer in Singapore, where the sun is always shining. So sunglasses aren’t only an accessory, they are essentials. 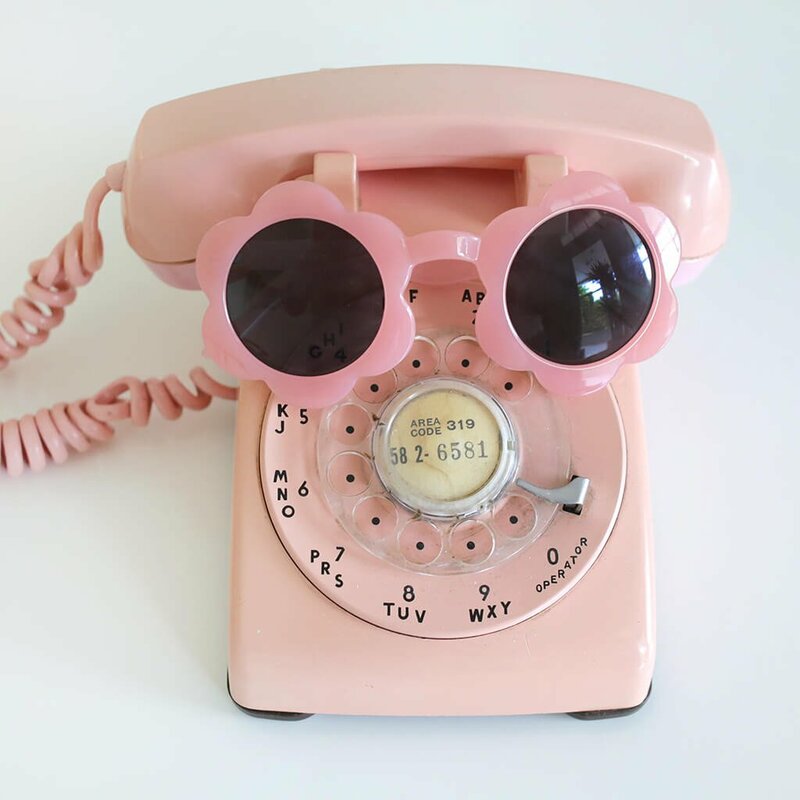 But who says you can’t have fun with the eyewear? They should still be considered part of your entire ensemble. Elsie’s online label Oui Fresh stocks these really cute Daisy Sunnies that come in four colours. She’s always wearing them and she’s also got Nova styled in them too! Put them on and we guarantee that the people who pass by can’t help but smile at you. 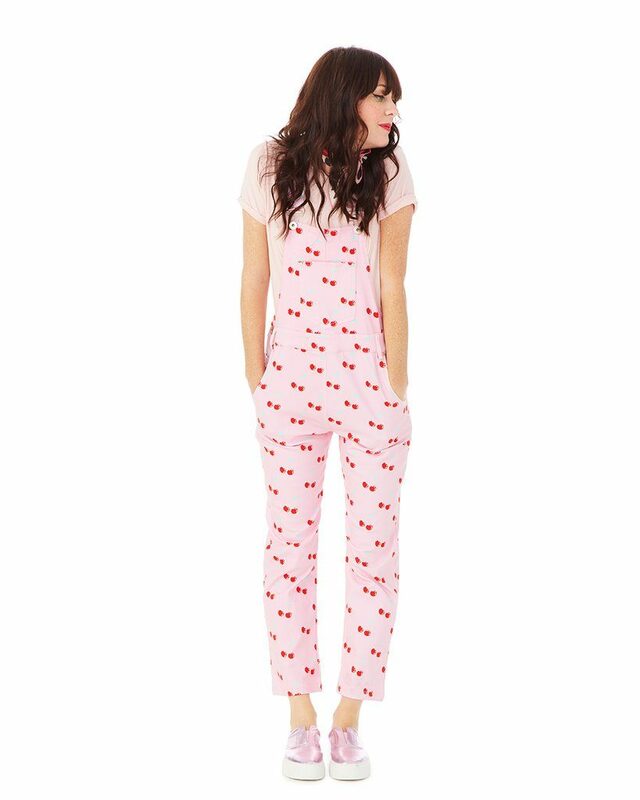 We think these pink ones would actually go really well with the Cherry Overalls. This is another product from Oui Fresh, but we can’t help but be attracted to their lip colours. 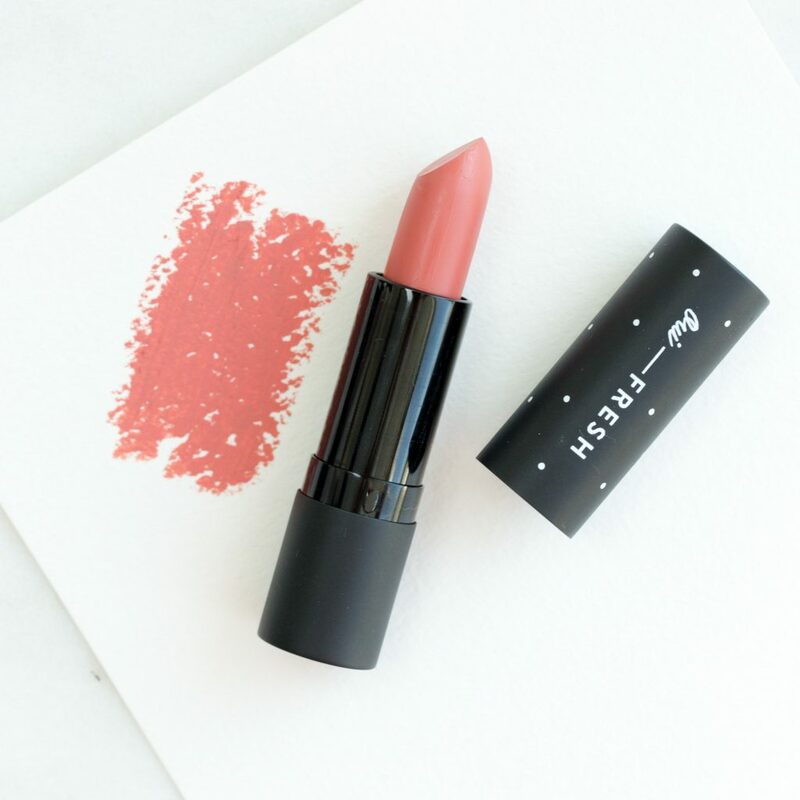 They come in very wearable shades and on the product page it says that each lipstick bullet is non-toxic and pumped full with everything good and nourishing. With ingredients like coconut oil (it means it smells amazing), shea butter, and vitamin E, it does sound like it’s going to keep your lips soft and kissable. Try out Elsie’s favourite shade in Blossom. From the look of the lip swatches, it does look like it’s a very natural shade that will match every skin tone. We hope you like our new series! We really love highlighting interesting individuals so this is only the first of many to come. Don’t forget all this items can be shipped to our warehouse and sent to your door for S$3/lb! So sign up NOW! Do you have a personality whose style you love? Let us know and we’d see if we can feature them!